It has been several hours since we looked into the top five stocks in terms of volume after the opening bell. Since then the situation has not changed much and the leaders in the morning remained the same stocks. However let’s see the positions below the top four. These stocks are: Nokia Corporation (ADR) (NYSE:NOK), Cisco Systems, Inc. (NASDAQ:CSCO), EMC Corporation (NYSE:EMC), and Intel Corporation (NASDAQ:INTC). 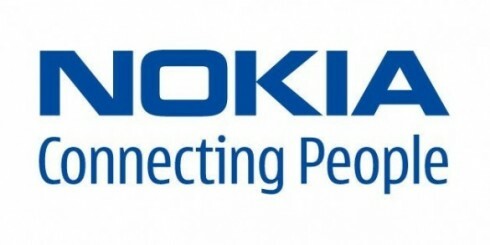 Nokia Corporation (ADR) (NYSE:NOK) decreased by 3.79% to $3.05 in deals worth $50.5 million. A piece of positive news for Nokia Corporation (ADR) (NYSE:NOK) came today from Carnegie Research, which gave the company a “buy” rating, Valuewalk said. The new rating was given due to many positive points revealed in Nokia Corporation (ADR) (NYSE:NOK)’s earnings report for the first three months. The target price for Nokia’s stock was set at 4.50 euro per share, Valuewalk also said. Matti Riikonen and Bruce Diisen, who are research analysts at Carnegie highlighted that Nokia Corporation (ADR) (NYSE:NOK) managed to outperform the consensus earnings estimates. Cisco Systems, Inc. (NASDAQ:CSCO) picked down 0.61% to $20.45 in turnover worth $40.1 million. The company has been in the top of volume leaders over the last couple of days. We discussed yesterday that Cisco Systems, Inc. (NASDAQ:CSCO) has been included in the list of “100 Best Companies to Work For” created by “Fortune” and it also has been in the list over the past 16 years. EMC Corporation (NYSE:EMC) fell by 3.18% to $21.63 in $34.7 million turnover. Earlier at the beginning of April EMC Corporation (NYSE:EMC) said that MLB Advanced Media has applied EMC technologies to sustain live video streaming and e-commerce for baseball fans of the whole world. In deals worth almost $35.5 million, Intel Corporation (NASDAQ:INTC) is the next on the list. The stock inched up by 0.61% to $22.38. According to Glassdoor.com, 84% of Intel Corporation (NASDAQ:INTC)’s employees would recommend their employer to a friend. The company has an interesting trick according to which workers are switched into new positions every 18-24 months, in this way they keep learning new things.